Now I did order the DHBH Pullover this morning but a few of you missed out in your size/color choice so went in search of more reasonably priced alternatives and posted this on Lulu This Just In. 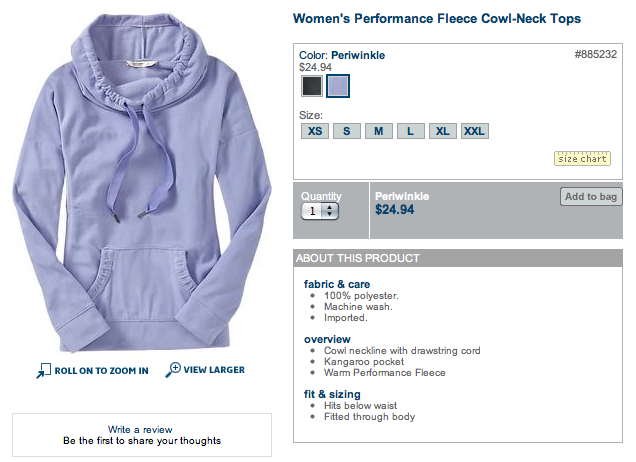 I have to admit I really kind of LOVE the old navy version pullover in Periwinkle. I’m going to see if my local store has it in today to save on shipping but $24.95 is kind of a fantastic price and a pretty color option. A few weeks ago someone posted an Old Navy Fleece Jacket that had running luon cuffs and I ended up seeing it in person. It was really nice and the running luon was IDENTICAL to lulu running luon opera cuffs (like last years Post Run Pullover) but I didn’t love that it was a zip up so I passed. This pullover is way more my cup of tea. Thanks to those of you that post the links to these Lululemon like finds. "New Photos of Don’t Hurry Be Happy Pullover and Cargo Harems"
Lululemon is rather expensive but any activewear that I have purchased from Old Navy shows wear within a wash or two. 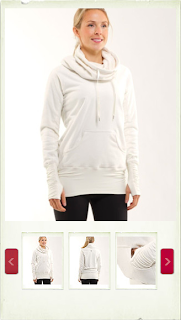 I have Lululemon clothing that is close to five years old that still looks relatively new. I have found a greater value in Lululemon than Old Navy. Agree with the quality and fit comments, but that periwinkle color sure is cute! I don't agree that Old Navy shows wear so quickly. I have a pair of ON capris that are three years old and look like new and I wear them at least once a week. I have had good experiences with ON activewear. I have 4 pairs of running shorts from them from about 3 years ago (maybe more than that) that are in great shape, waist doesn't dig in, no chafing. They cost me <$15. Sure, they're not as cute as $54 speed shorts that I also own, but when I need running clothes for 4-5 days away, I can't buy exclusively lulu when I also want to save up for retirement and a down payment for a house. I also have some nice zip up tops too (like for before/after a gym class) that I've had for about 5 years now. Sure, the black has faded some what, but all seams are in great shape and it still fits well. I realized that they were on the US side of Old Navy only, not the Canadian side. I ordered the Old Navy fleece in both colors, plus a pair of fleece gloves. There's a 25% off code right now, so I figured I'd give it a shot … I can always return at the store if I don't like them. It was just so refreshing to get three items for half the cost of my wunder unders 😀 We'll see about the quality when they arrive. I bought the old navy pullovers in both colors, too! I'm in california, so I don't need something uber thick. Thanks for the post! Is it me or does some of their zip ups look like lulu with the thumbholes? 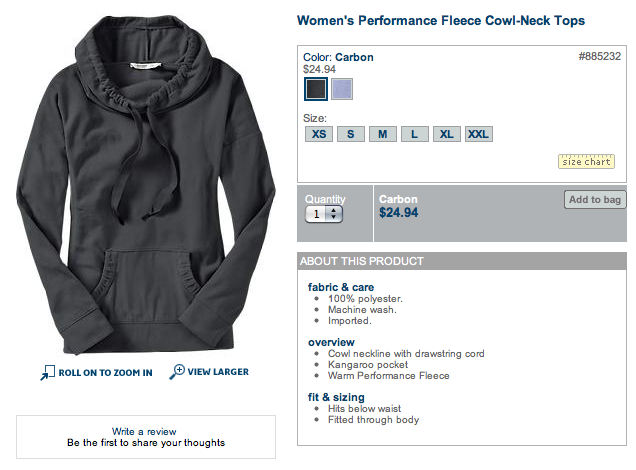 I actually think I like the look of the Old Navy one more… and definitely prefer the price point. Does anyone know if it is lined the same way as the Lulu one though? ?